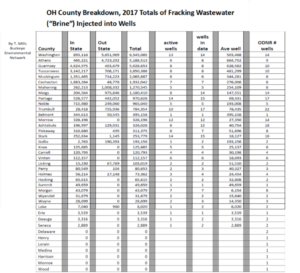 Thanks to the Buckeye Environmental Network for compiling 2017 total amounts of Fracking Wastewater (“brine”) being brought into our communities. 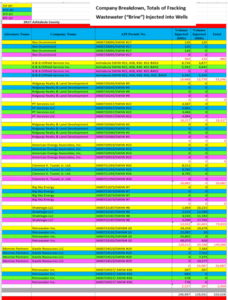 Below click on each image to see how much toxic waste was brought into your own OH county, if it came from in state or out, and which companies in Ashtabula County are bringing how much. Petrowater tops the charts here; a local company owned by Phil Dietrich.